Maybe I’m just getting easier to annoy in my old age, but I feel like both the takedown and the defense are annoying in equal measure. I think much of it comes from the way one’s position is stated. Sennwald leads off his piece by saying “It’s hard to understand why Hollywood expressed such violent distaste for…”. Is it really? Could he, as learned NYT critic not look at a piece of work and see what might put audiences off? That’s the thing about any sort of contrarianism – it seldom seems to come from a place of arguing for the work, and instead takes the defensive of arguing against everyone else’s opinion, which to me is offputting (including what Sennwald writes here). It comes across less like “Here’s how I saw it” and more like “Here’s what you missed”…and to me that’s always been rather off-putting. …and we still have an Armond White chapter to go much later in this book! Fair enough, and I think you’re right, Sennwald does shift more toward “here’s why you’re wrong” rather than pure enthusiasm for the work, which is where I think positive takes on generally reviled films get it right. Perhaps we wouldn’t use the term “contrarian” for those, since “contrarian” suggests that the piece/author is primarily acting in relation to other people’s opinions rather than in relation to the film itself. The second piece though is what fascinates me. Nearly one hundred pages and one dozen critics into this book, and this is only the second time (after Bakshy) that a critic has looked at what’s been presented and considered the possibilities. I asked it then, and I feel like it bears asking again – should an artistic critic be open to exploring such leaps? Sennwald actually seems to understand this by suggesting that the importance of colour is akin to the importance of music. I’m a little surprised to see him championing it so since the colour palette of early films wasn’t what one would call “naturalistic” – certainly not in comparison to what had been happening in visual art for hundreds of years. However, in order for the technology to catch up to what our real life experience is, it needed to be championed. But is it my imagination, or is that never fully made clear to would-be critics…that they will play a part in the technical advancement of an artform by expounding upon its virtues? I agree, the interesting one of these two Sennwald articles is the one on color, as you say a good companion piece to Bakshy’s ruminations on the future of sound. 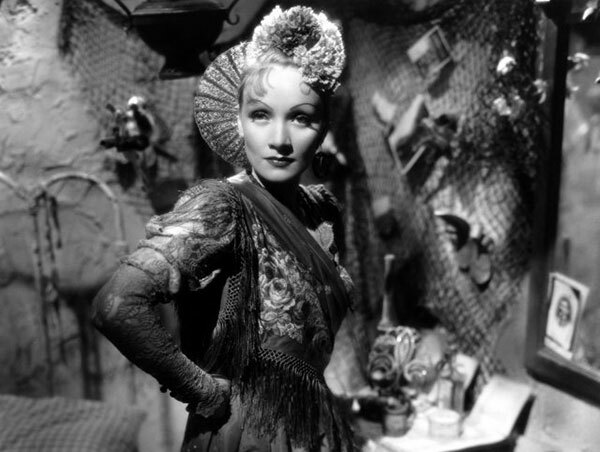 I haven’t personally seen Becky Sharp (though I have hung onto the fact of it being the first three-strip Technicolor feature as an indispensable piece of trivia), so I can’t speak to its use within that film, but it’s pretty clear that Sennwald foresees a future where it will be used more naturalistically. He would have to wait quite a while for that! I’m intrigued by Sennwald’s assumption (and yours, perhaps?) 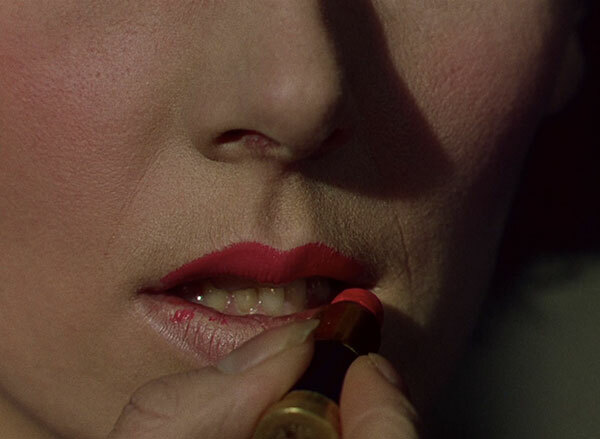 that naturalistic color is inherently an advance in storytelling over the more flamboyant color you find in early Technicolor films – as Sennwald says, it’s suited to fantasy and romance, suggesting those types of films are inherently less valuable than more realistic pictures. I’m not sure I’m willing to accept that at face value. I’m curious what he would think of the Powell-Pressburger films of the late 1940s, which used color extremely thoughtfully (thanks in large part to cinematographer Jack Cardiff) but not necessarily realistically, instead using color to heighten psychological drama. 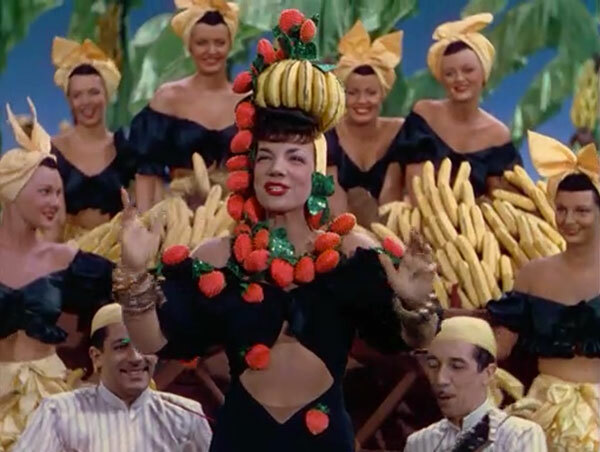 Perhaps I’m also feeling a bit protective of my candy-colored 1940s musicals. A funny thing happened along the way to this post coming together – a Technicolor retrospective started playing out here in Toronto. The screening I attended this past weekend actually involved something of a lecture beforehand and underlined the way the palette was used to tell the stories it chose to tell (as Sennwald alludes to with mention of fantasy and highly sentimentalized romance). However in listening to talk of how all those colour were achieved and used to evoke this emotion or that emotion, I came back to the thought of “naturalistic” techniques in film…and I wondered: why do we want them? What we are subjecting ourselves to is so clearly not reality. From composition to cutting to scoring, everything has been put in place to manipulate our thoughts and emotions. 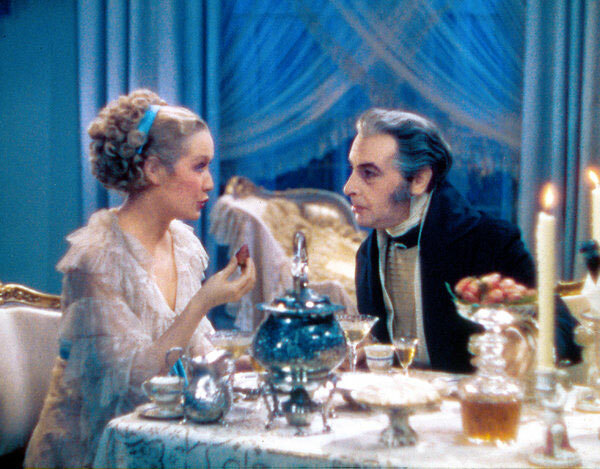 So while I’m not suggesting that Sennwald is wrong to point out that colours don’t look the way Becky Sharp captures them, my response would be – why does that matter? Isn’t a world that is so clearly not our own easier to drift into than one that seems like ours, but is ever-so-slightly off? The next step…must be to repress color deliberately to the needs of our modern literature and to recite films in grays and pastels and the subdued colorings of the life which we live in these 1930’s. I read that and thought – for the love of God, why? Life in North America was in tatters in that decade. Why in the world would anyone want their art to reflect that muted misery? Maybe if they wanted their films to be a mirror, and not an escape…but again, back then, why would you? Looks like thanks to your Technicolor retrospective (that sounds amazing, by the way), we basically came to the same conclusion! Color CAN achieve realism, and would within ten or fifteen years of when Sennwald was writing, but it didn’t need to be realistic to be a valuable addition to movies. As far as depicting life in the ’30s – I don’t know, I think O Brother Where Art Thou looks stunning, but it’s obviously an artistic choice to evoke that era. I certainly wouldn’t want every movie to look like that! O Brother Where Art Thou (2000) is in color. I promise. Take that same argument about movies not being reality and apply it to whatever tech you wish – 3D, digital photography, special effects, make-up, etc. and repeat. Speaking particularly of color, I think it’s one of the few major technological advancements in film that have basically switched connotations over time. At the time Sennwald was writing, color was seen as a stylistic choice that was fantastical rather than realistic. He sees that it can and will be (he would say must be) used realistically in the future – now the pendulum has swung and it’s black and white that is stylized and suggests a level of remove from reality. 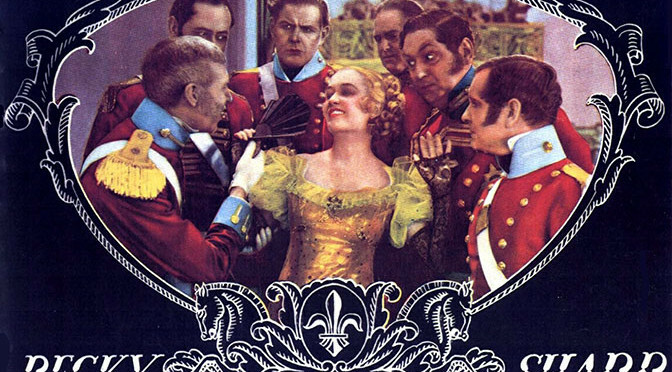 I don’t think sound really did that – silent films were always more heightened than sound films – and 3D, if it’s going there, hasn’t gotten there yet, as it’s still used largely for escapist cinema. 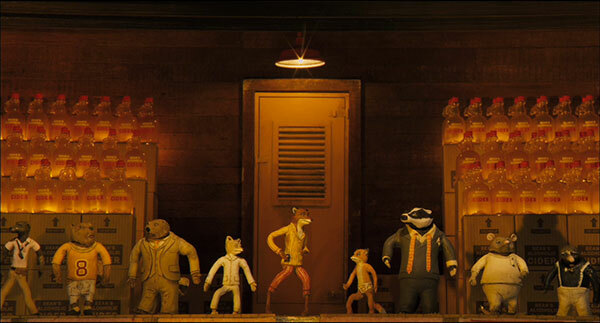 Do you think eventually we’ll see 3D become the dominant mode of realistic cinema while 2D (perhaps hyperstylized 2D like Wes Anderson’s flattened compositions) becomes seen as the artistic choice? Your question of 3D is an interesting one (I’ve lost track of how often we’ve brought the discussion back to 3-D so far). My instinct is to say “no” because 3DTV’s didn’t catch on, and considering the imbalance these days between home entertainment and moviegoing, I believe that to be a harbinger. When colour TV’s were first invented, they were all the rage and everybody wanted one. Some of the garish fashions of the early 70’s were even en vogue because they looked better on colour television. Home entertainment – even though back then it was seen as “the enemy” – still wanted to be in-line with what a theatrical experience could be. So while I continue to believe that in the hands of certain storytellers – Scorsese, Spielberg, Cameron, Wenders, Herzog, Ang Lee – 3D can be a useful tool, I also believe that the demand isn’t there…and that form of “realistic capture” in our films is one we’re willing to forgo. I hadn’t thought about the place of 3D TVs. I don’t follow the home entertainment market enough to know they’d definitively failed, but I guess I haven’t seen them in privileged spots at Best Buy lately – that’s all Ultra HD and 4K TVs now. Which means that we’ll likely continue to see 3D in movie theatres for the time being as a way to separate theatrical from home experience (like CinemaScope was in the ’50s), but filmmakers won’t likely do anything truly revolutionary that would REQUIRE 3D, since they know people watching at home won’t have it. Also, what did you make of him rounding-up other critics’ take on the employment of colour photography within his piece? I liked his quoting from other critics, though I found it interesting that he claims “we discover enthusiasm, uncertainty and confusion among the town’s professional film-goers.”  I counted 5 or 6 positive quotes and 2 or 3 that were like “it’s cool, but it’ll get better later”, which is basically what Sennwald himself is saying – not actually a lot of confusion, and no negativity. Everyone seemed to love color immediately. Of course, there had been 2-strip Technicolor for about five years at this point, and shorts in 3-strip for at least a couple of years, so maybe everybody had more time to get used to it than they did with sound.